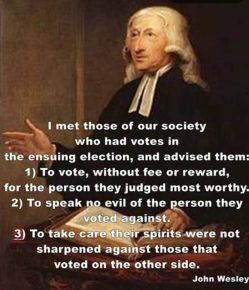 A Thought: John Wesley’s Social Justice. This popped up on my FB memories timeline. John Wesley, founder of Methodism, gives great advice.